I arrive at the red carpet with time to kill, secure a posi and chat to a couple of photographers. 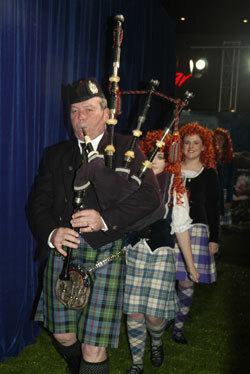 Bag Pipes whine desperately and small girls in curly red wigs begin a jig - cute. The kiddies are beaming.